From assorted boxes, printers boxes, export boxes AND corrugated rolls to corrugated pads, GTI offers a wide array of corrugated products and options for your packaging needs. If it’s brown (or even white) and boxy, we’ve got it in stock! In addition to custom sizing, GTI Industries carries hundreds of types of corrugated in all shapes, grades, flutes, bundle quantities and sizes. Corrugated pads, fan-folds and rolls complement our corrugated cartons in their ability to cushion and protect goods. For customers concerned with the presentation of their corrugated, we offer one-to-six color printed boxes that are retail-ready and manufactured to fit your custom needs and brand. Our customers can buy strong Kraft corrugated anywhere, but they come to GTI for the expert assistance, custom design capability, friendly service and reliability. GTI carries an array of different size regular slotted corrugated cartons for immediate delivery. From standard cube boxes to printers boxes and export boxes, we offer a large assortment of cartons on the floor. 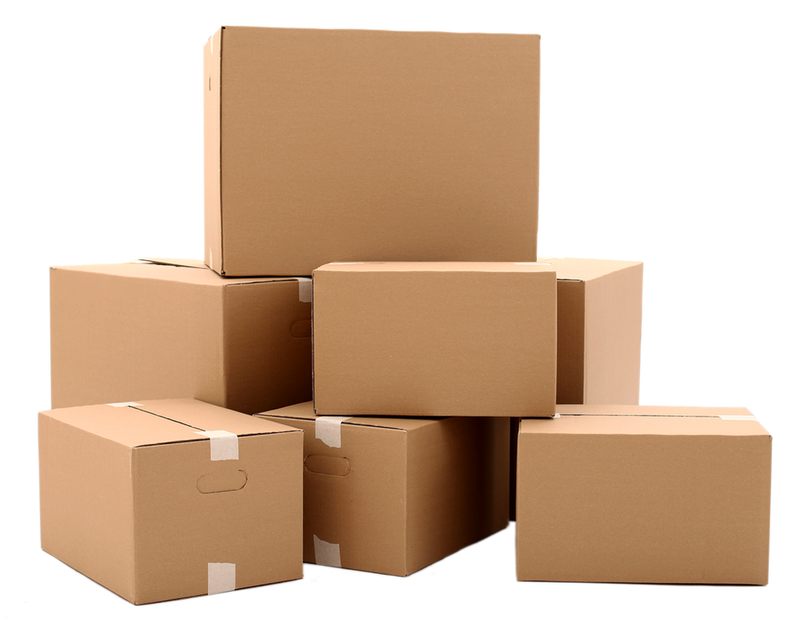 Our cartons are constructed from strong Kraft corrugated to ensure proper shipping of your items. We also provide custom sized and printed boxes that are retail ready and manufactured to fit your needs and style. Choose from our selection of regular slotted cartons, die-cuts or one-piece folder and have them printed as you wish or laminated and UV coated. We design boxes that fit your needs and reflect your company’s image by providing customized designs that protect and promote your product. GTI's Corrugated Cardboard Pads are excellent for using as padding between fragile items and great for use as a layering pad on pallets to disperse weight. Pads help keep tops of products dust free during storage and helps prevent strapping and forklift damage. GTI's corrugated rolls are rigid, resilient and recyclable paper based packaging material. Designed for cushioning and puncture resistance, single-face rolls are ideally suited for flat products that need protection. Rolls are easy to handle and can be used to interleave or outer wrap. It is also ideal for filling a void within shipping boxes. GTI's single face corrugated rolls are the greener choice by containing 100 % total recycled content. Plus, the biodegradable material will break down easily and naturally. Corrugated fan-fold is usually made to order. It's a continuous corrugated board, accordion folded into a bale. Bales are either pre-scored to fit customer specifications, for a specific box shape and size, or not scored to be used to package products that have varying lengths and widths, helping you save money and reduce your multiple box SKUs.